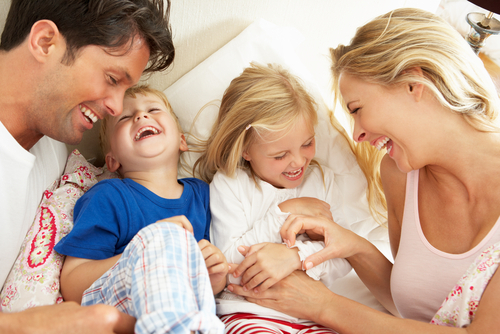 Are You In Need of Direct Term Life Insurance Protection for Your Family? Whether you need $50,000 or $500,000 of term insurance, you can get covered today direct from the life insurance company. Now you have the option of purchasing your term life policy online direct from the carrier thanks to the advances of technology and the fact that many insurers now offer life insurance direct over the internet. In fact, one "A++" rated life insurance carrier now offers healthy individuals the option of buying up to $2,000,000 of term life protection direct without any delays or exams needed. And, rates are more affordable than you might expect when you buy direct from the carrier. The whole process takes about 15 to 20 minutes. You just request a free, instant life insurance quote. Apply online by answering some basic questions about your health and find out within minutes of you qualify for a policy. Once approved, you may select a payment option and begin your term life policy immediately. And, your coverage comes with a 30 day one-back guarantee which means you have nothing to lose when you purchase your term life policy direct. No Exam – You can get insured without taking a physical examination. Instant Approval – Find out in minutes of you are approved for coverage. Same Day Coverage – Once approved, you can start your life insurance right away. No Agent Needed – You won’t have to meet with an insurance agent. Money Back Guarantee – Risk free, 10-day money back guarantee. Affordable Rates – Get competitive pricing on no exam plans. Safe and Secure – Rated "A++" Superior for financial strength by A.M. Best Company. In insurance, "direct" means that the policyholder is also the insured. That is, the person who must die in order for the death benefit to be paid is also the person who is paying for the insurance policy. Other insurance policies might be paid for by an employer, trade union or family member. So, if we apply this definition to term insurance a direct term life insurance policy is one where you purchase term insurance on yourself. Haven Life uses the information provided in your application to make an instant decision on your application for insurance. Healthy, qualified applicants (based on the information provided in your life insurance application) can be insured immediately with no medical exam while other applicants can receive immediate coverage pending a medical exam. Insurance is a business agreement (written contract) between an individual and an insurance company. The individual agrees to pay the insurance company a certain amount of money (premiums), most often divided into monthly payments. In exchange, the insurance company agrees to pay the individual a set amount of money if something happens. Insurance is intended to provide financial support during times of hardship. Insurance is different from other investment relationships because it pays out money after an event, rather than paying interest over a period of time. Life insurance is specific kind of insurance. It pays out a "death benefit" upon the death of the insured person, an individual specifically named in the life insurance policy. This money is paid out to a beneficiary, an individual also named in the insurance policy, as the person who gets the money. Life insurance is different from other forms of insurance in that the person who gets the money is rarely the person who paid for the insurance. Other forms of insurance pay money in the event of a house fire, a car accident or a lawsuit. There are two basic types of life insurance policies: Term and Whole life. Whole life insurance pays out the death benefit no matter when the insured person dies. Term insurance pays out a death benefit only if the insured person dies within a period of time specified by the insurance policy. Term insurance is significantly less expensive than whole life insurance for this reason. In insurance, "direct" means that the policyholder is also the insured person. That is, the person who must die in order for the death benefit to be paid out is also the person who is paying for the life insurance policy.